Welcome to my blog page! 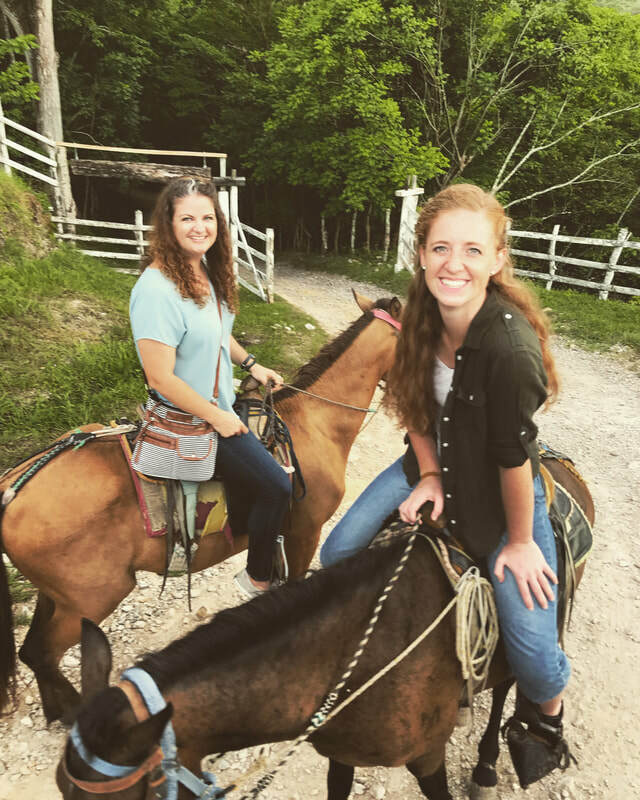 Thank you for following along with me as I document my journey in Honduras. 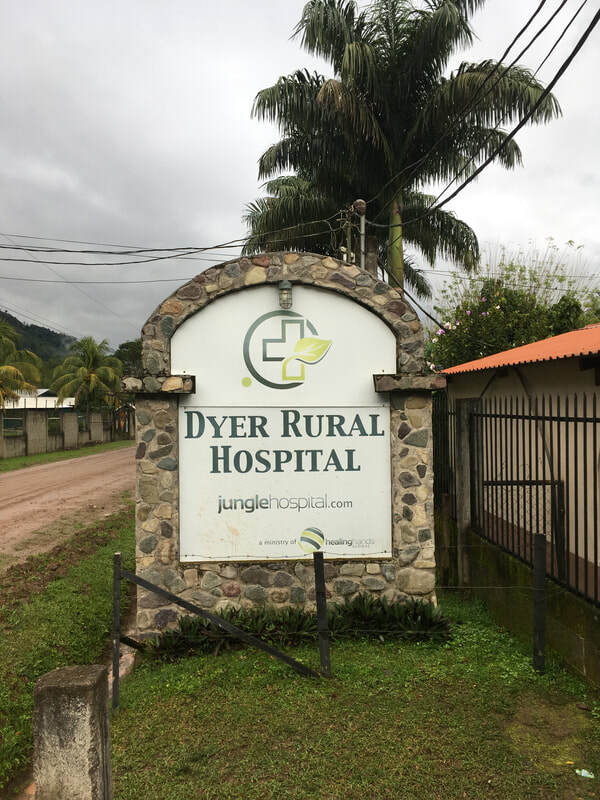 I hope you enjoy reading about the adventures here in the jungle, and feel free to check out the Jungle Hospital website for more information. January has arrived again, which means another incredible year has come and gone. Every year new lessons are learned and new memories are made. I’m always reminded that God is a God of details and He never leaves one unattended. I’ve seen that more than ever this year! IER girls graduation - Since the beginning of my time here in Honduras, Healing Hands Global has been sponsoring students from Instituto El Rey, the high school across the street from us. During their school breaks they would come to the hospital and volunteer with us, helping in whatever capacity they could. Their story is truly incredible and their hearts are the purest of pure. Every day they would walk down the mountain to catch a bus that carried them to school. This distance didn’t keep them from having great attendance in school, missing only a handful of times during their high school career. These amazing girls graduated this year and I couldn’t be more proud of them. It was a blessing to teach them about being a nurse and how that looks here in Honduras. 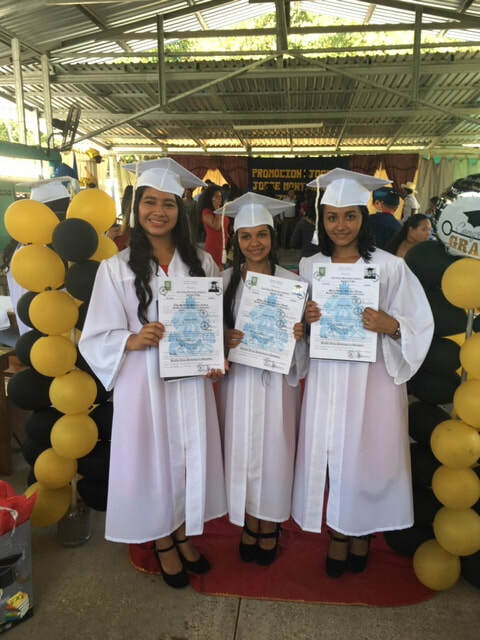 Their desire is to continue studying and become nurses. I’m excited to see where their future takes them. Babies - Since the dedication of the Labor and Delivery Ward in 2016, I’ve had to pleasure of helping deliver 18 little bundles of joy. 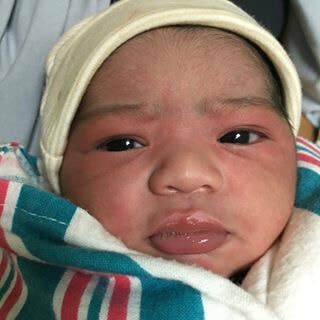 Being a witness to the beginning of new life and experiencing love on a mother’s face is something that never gets old! Every new birth is truly a miracle and I’m filled with emotion every time it happens. The number of prenatal visits are increasing, so be expecting new pictures and babies soon! 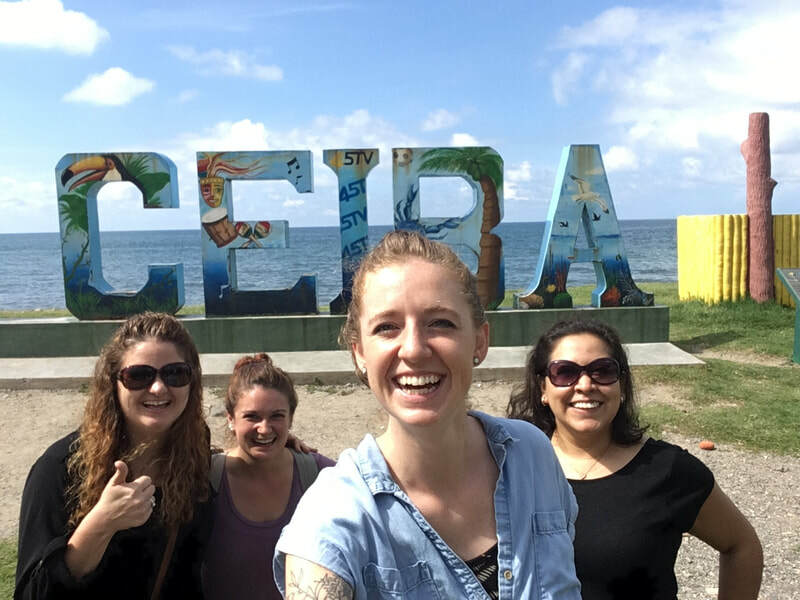 Residency - For the last five years, I’ve had a residency here in Honduras which has allowed me to stay in the country without leaving every 90 days to renew a visa. This month my five year residency expires and I’ll be applying for another type of residency. 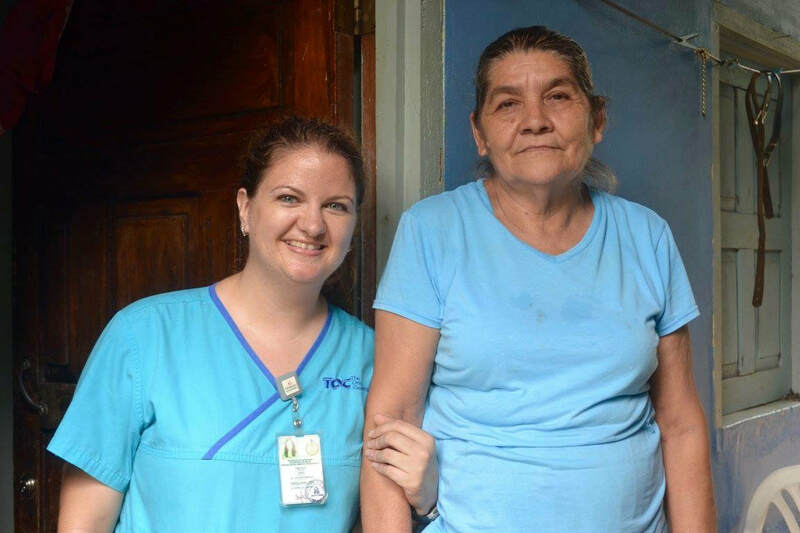 It’s a very useful tool which affords me the opportunity to stay in Honduras and work at the hospital without interruptions of traveling every three months. 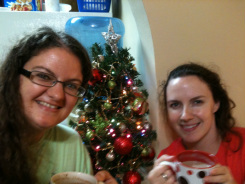 Christmas in Alabama - I had an incredible time with the Hiers clan for the Holidays. 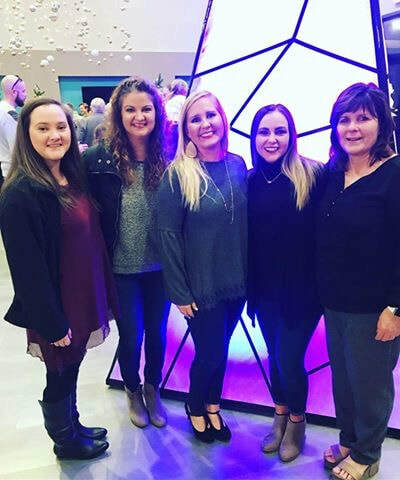 It's always wonderful to be with family during the Holiday Season! My parents are currently fostering four children, so it was extra fun watching them open their gifts from Santa on Christmas morning. As you can see, God did some amazing things in the year of 2018. I'm anticipating that 2019 will be even better! Thank you all for continuing to pray for me and support me....I wouldn't be here without you! 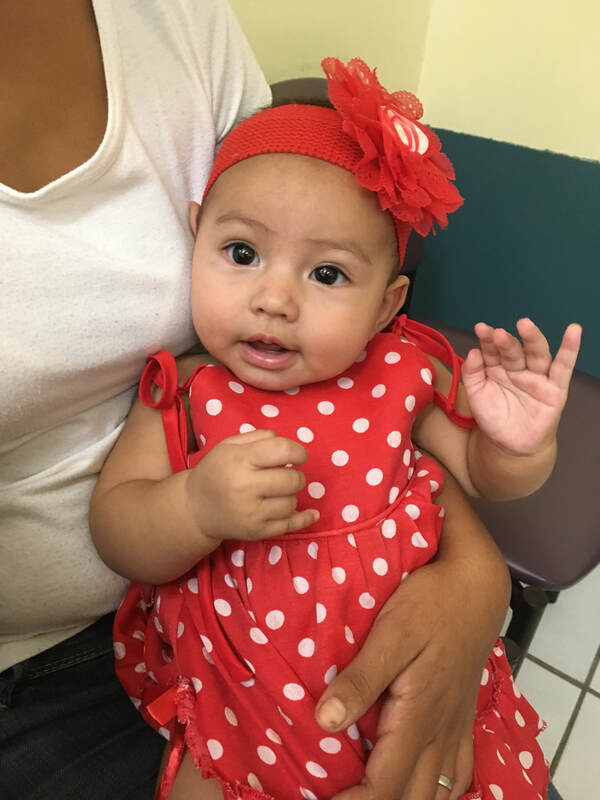 If you would like to make a donation or set up a recurring monthly pledge, CLICK HERE, or you can mail a check to Christian Health Services Corps. 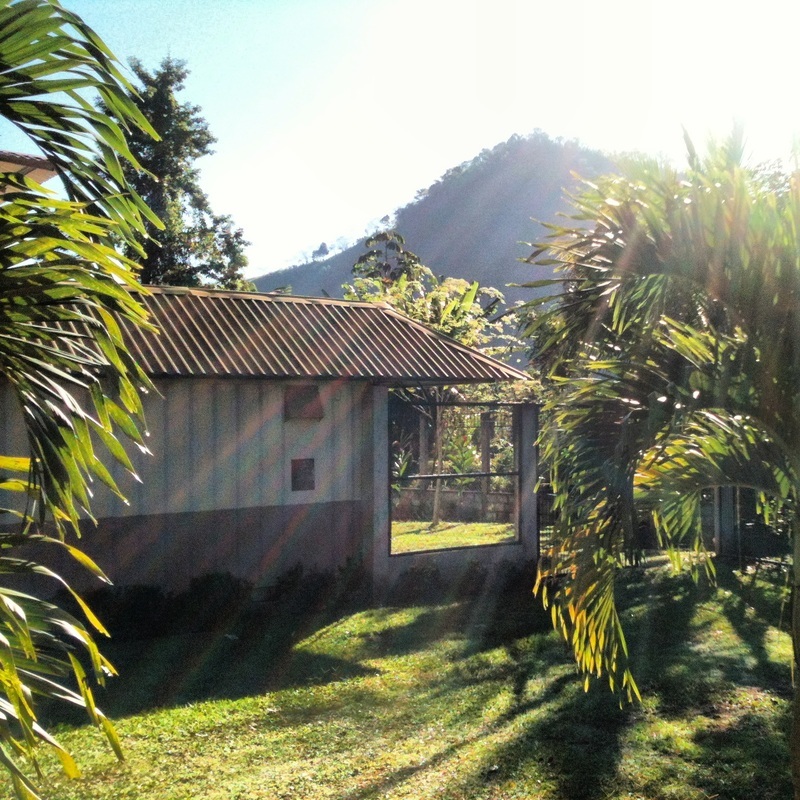 All donations are tax-deductible and will help me continue working at the Jungle Hospital. DONATE ONLINE WITH CHSC: CLICK HERE!! A few days ago I went on an afternoon stroll with a small group of ladies and our goal at the beginning of this hike was to make it to a certain electric pole and then each day after, we would go a little further until we eventually made it to the top of the giant hill. As we were walking (and sweating A LOT) we decided that we were going to keep going and push through until we made it to the top and man were we glad that we kept walking! We made it just in time to see the sun setting over the top of the mountain and it was absolutely beautiful! In March, we hosted our first midwife conference at the Jungle Hospital. Our goal in hosting this meeting was to equip them with the tools they need so they can safely and knowledgably deliver babies. 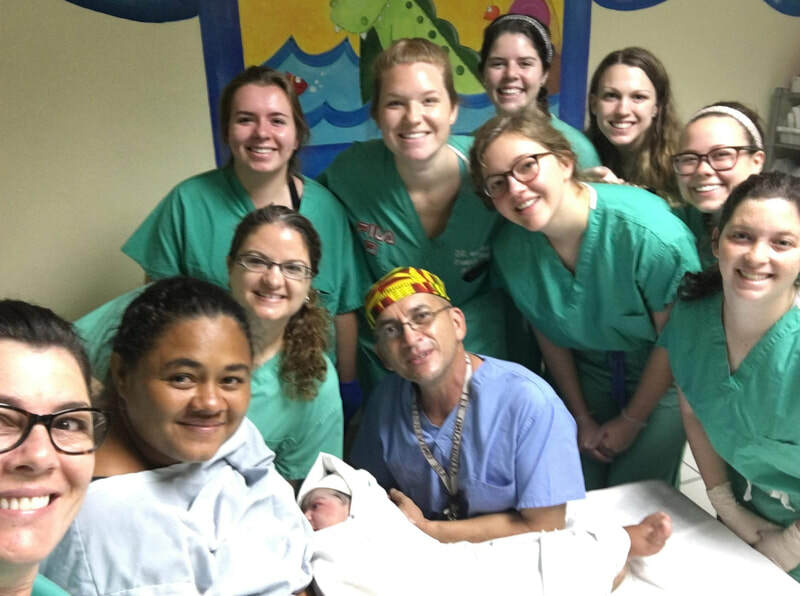 Dr. Martin and Dr. Amy Wood, a neonatologist from the states, facilitated the event which included teachings and exercises so each midwife felt comfortable with the entire process of delivery, from beginning to end. Ultimately, we would rather all ladies go to the hospital during their delivery, but we know that deliveries happen frequently at home. We had a great time and each midwife walked away with a bag full of what they need for an entire year. The first medical team this year was a group from City Hope Church who was also joined by three Canadian families for a total number of 46....YES, 46 people!! 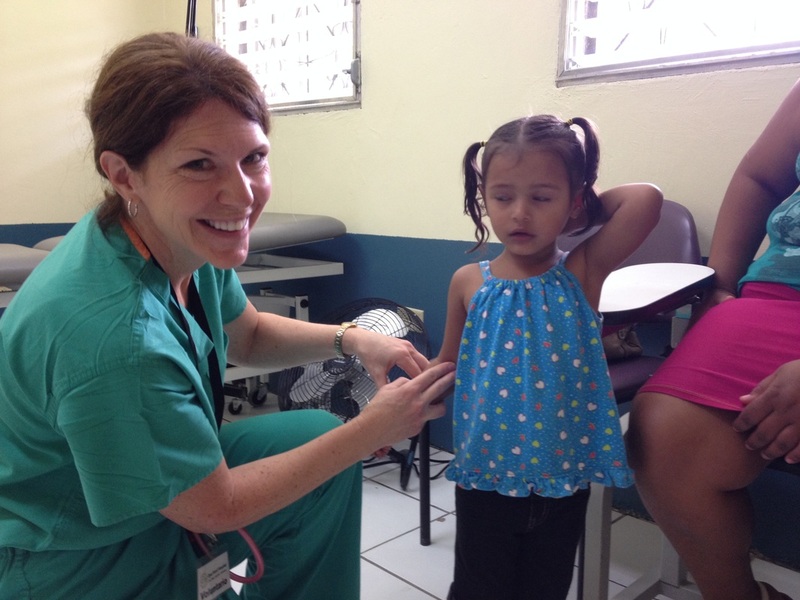 It was an incredible week of ministry which included three medical brigades and five school visits. Many people who joined us from this team had never been to Honduras before.....seeing them experience missions/Honduras for the first time was so refreshing! It was like I was seeing it all again for the first time. I absolutely love it when jungle family comes back to visit! Mark and Heather Younger, who lived and worked here for 6 years, brought their family for a week visit! It was so incredible to have them back in the jungle (even if it was for only a week) and to hear about their goals and dreams for the future. During their stay we finished putting the drop ceiling in the dorm, completed a few other handy projects around and visited a school to provide vitamins and albendazole. I miss them already and can't wait to see them again. 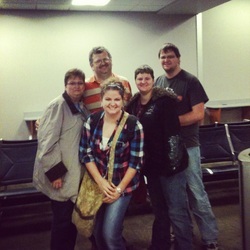 Our second medical team of the year came from River Valley Church in Apple Valley, Minnesota. 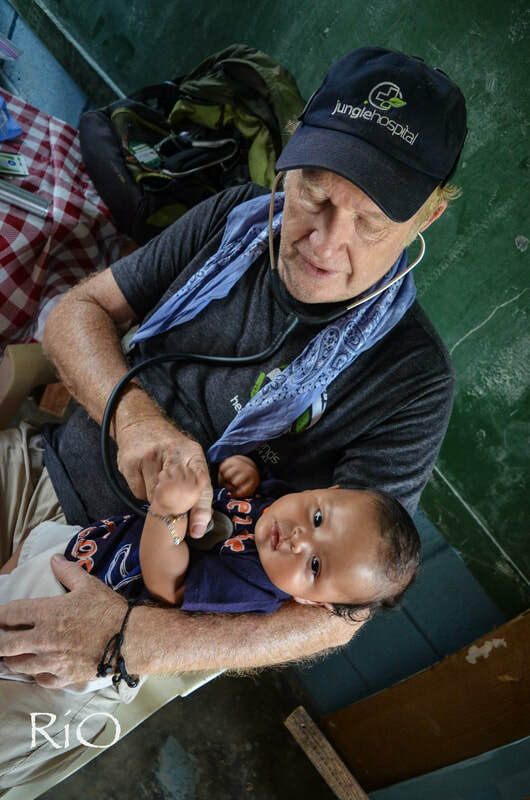 This visit was the first medical mission for this church and they knocked it out of the park! 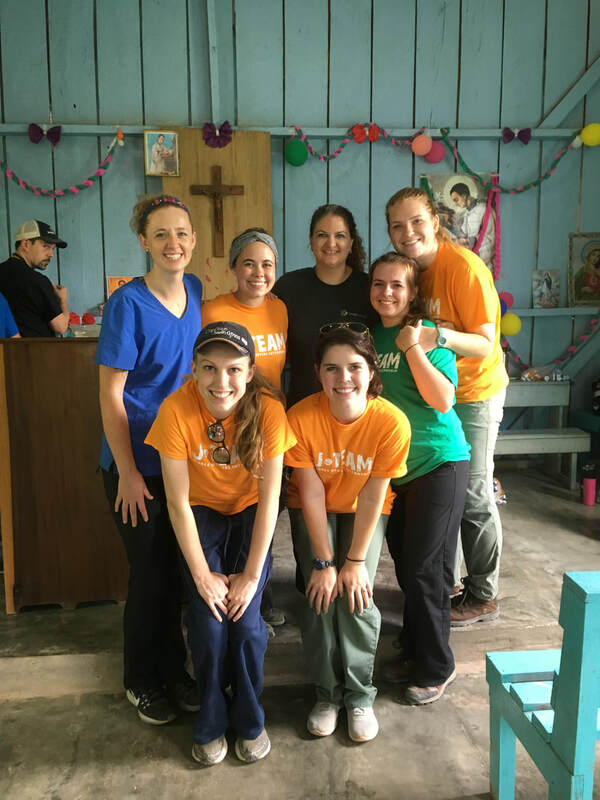 From the first moment they stepped foot on campus until they reached the airport on day seven, they were so eager to serve and willing to do so in any capacity. ​Hello friends! As the new year has begun, I’ve been looking back and reflecting on all that God has done in my life the last few years. 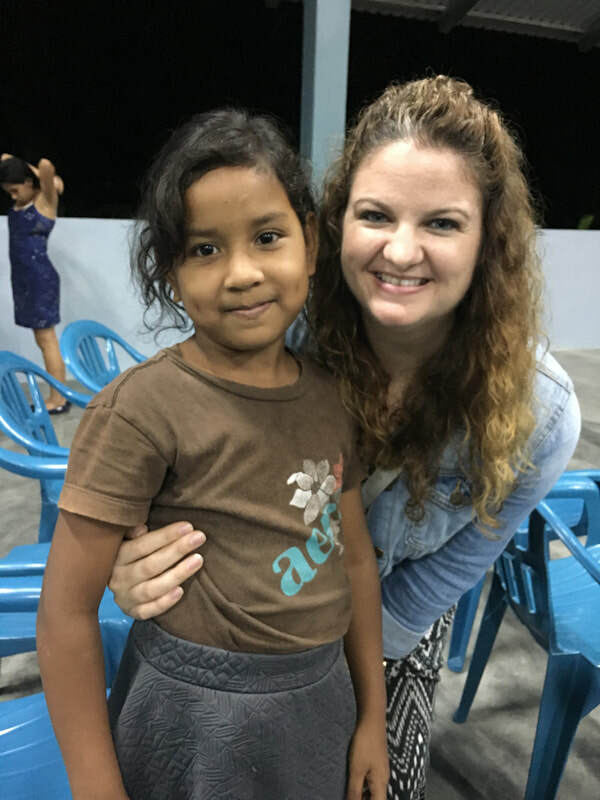 As I began my journey in Honduras in 2012, I never imagined that I would still be here six years later! I remember coming as a newly graduated nurse, having only worked in the states for 3.5 months, with so much eagerness to learn all about being a "jungle nurse." I'm thankful to have had the opportunity to learn from so many amazing people during my time here. I’ve learned many life lessons, had incredible experiences and I’ve grown as a person and in Christ. I have noticed that I have done a TERRIBLE job at keeping my blog updated. It's always much easier to quickly post a picture to Facebook or Instagram (everyone is on social media, right? ), but I realize the importance of writing about my time here so that I don't forget the details. My new goal is to write a blog once a month, so stay with me as I continue posting about my jungle adventures. Each year brings more growth and more responsibilities around the ministry. This year I will be taking a new step in this journey by purchasing a vehicle in Honduras! As most of you know, we live about an hour and a half from the nearest city on a winding, bumpy dirt road and for the last 6 years I have been dependent on others, or the unpredictable public transportation, to make it into the city for groceries and to run errands. 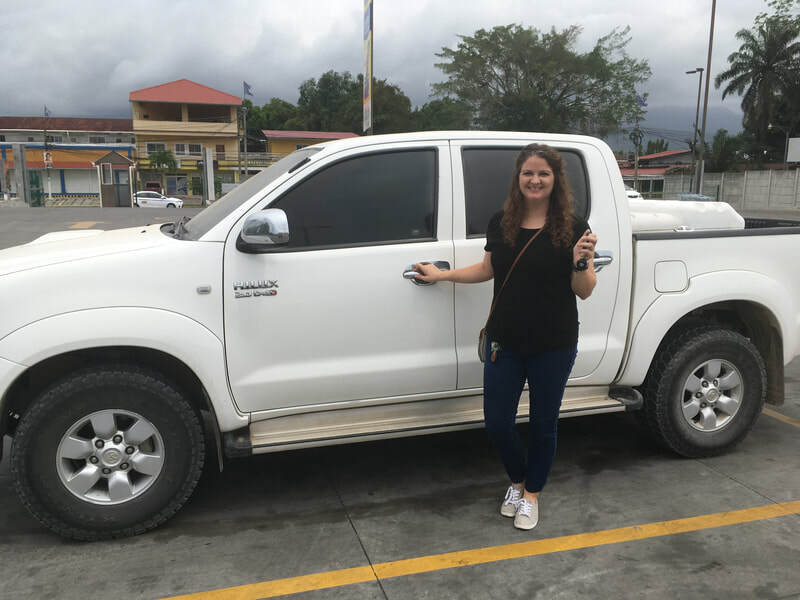 By purchasing a vehicle I will be more independent in those areas, and I will be available to help the ministry by driving interns to buy groceries, transporting teams to various villages and by picking up visitors from our nearby airport when needed. I’m excited about this next step, but I need your help to make it happen!!! My goal is to raise $10,000 within the next few months so that when I find the perfect truck, I will be able to purchase it. If you feel led to give, you can send a check to Healing Hands Global and your donation will be tax deductible. 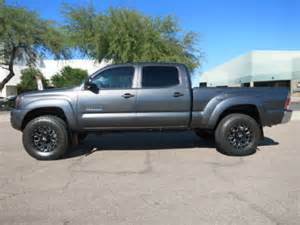 I will be searching for a gently used truck or SUV. 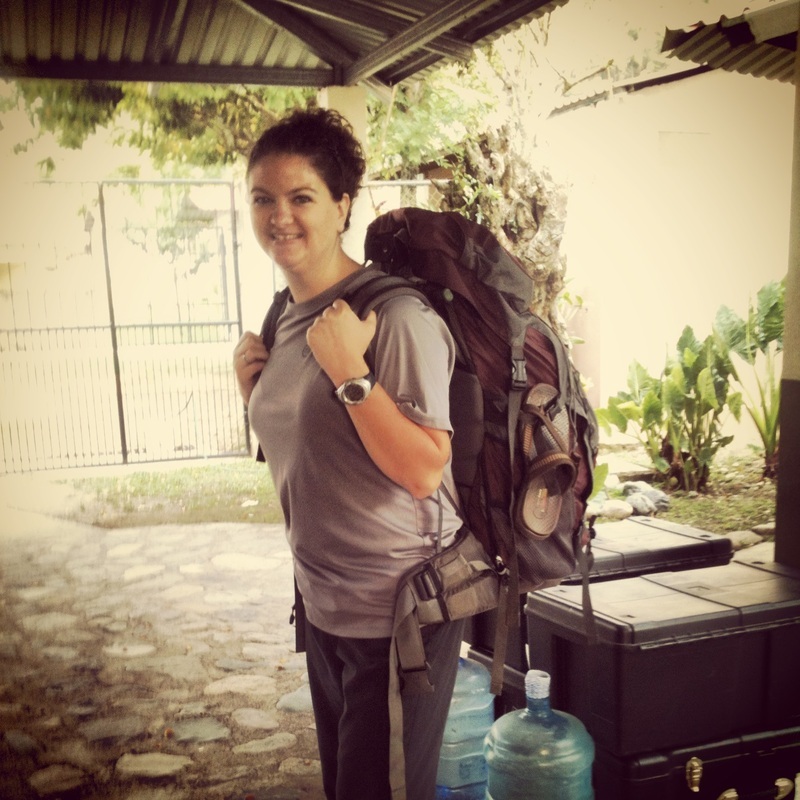 Thank you for your continued prayers and support as I live out God’s calling here in Honduras. Send your check payable to: Healing Hands Global with "vehicle for Tabitha Hiers" written in the memo line or a note included with the check saying that the donation is for a vehicle for me. ​Again, thank you for your love and support! I couldn't do this without you. Busy, busy, busy has been the theme of our summer! We have hosted a number of medical and educational teams and accomplished so much with the help of these amazing groups. I still can't believe that our summer is ending and our interns have gone home. It seems like just yesterday that we were beginning the year 2015! 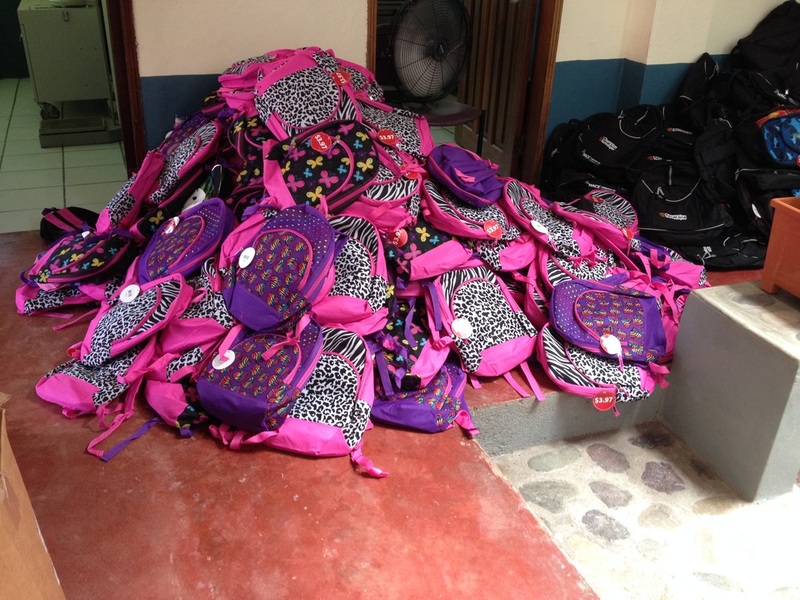 We gave away a total 1200 backpacks between our students in Las Minas and here in the Cuenca. With six medical teams we saw more than 1600 patients out on brigade. We provided health education, gave out vitamins, de-wormed and presented the gospel to more than 1800 students. 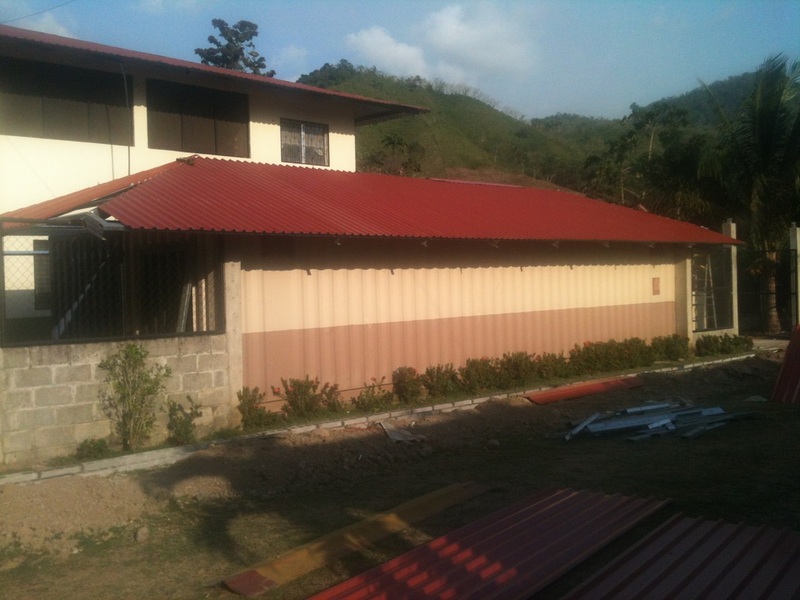 We painted (4 classrooms, the exterior and the latrines), remodeled and decorated the school in the village of Toncontin. We installed shoe molding in the Labor and Delivery portion and the ER of the hospital. We had a group install the Operating Room lights, scrub sink, and equipment in the OR. We FINALLY finished clearing out all of the cardboard boxes. Praise the Lord! An AC unit has been installed in the back of the hospital. We wouldn't have been able to complete this long list of things without our groups and our AWESOME JTeam. I'm so thankful that God knows our needs and sent us an amazing group of interns to help us serve this summer. For a quick view of what we've accomplished, check out the slideshow below. Where to begin....so many great things have happened this week with Bay Community Church! When you talk about rolling with the punches, these guys know exactly how to do that. We had an incredible week with lots of unexpected twists and turns, but their attitudes to love and serve were so infectious! 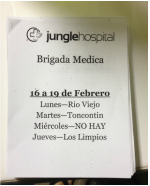 Our first medical brigade in Rio Viejo! We saw 102 patients, loved on some amazing kids and some of the group members taught the kiddos how to play baseball. 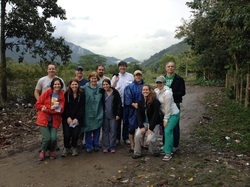 We traveled up the mountain for our second medical brigade that was held at Give Hope to Kids. Together we saw 96 patients, the orphans all received well check-ups and the group got a tour of the orphanage. 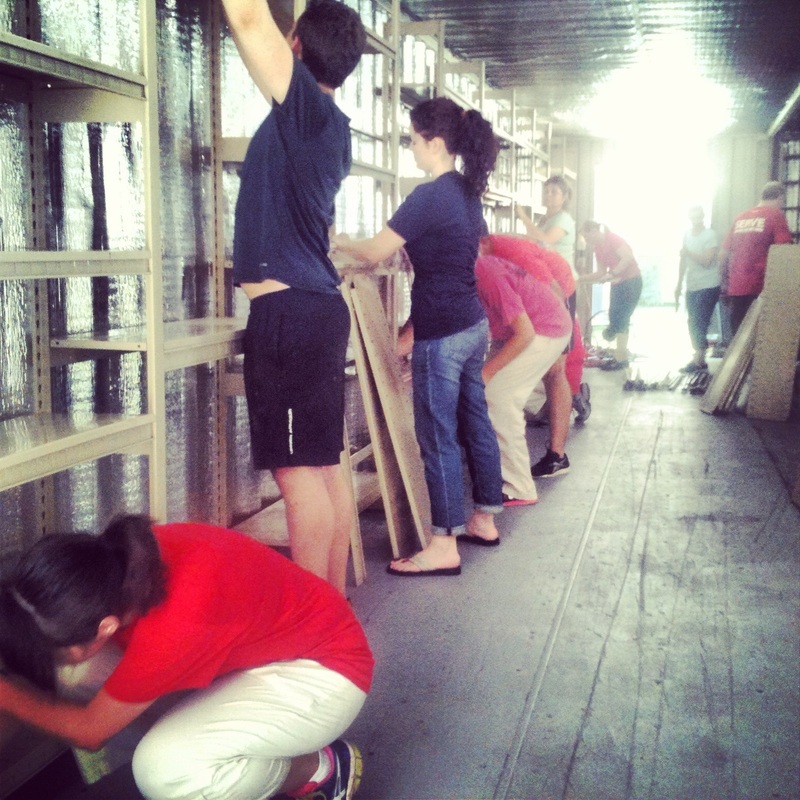 Our original plans of having a medical brigade changed due to a container filled with medical supplies needing to be unloaded in La Ceiba. 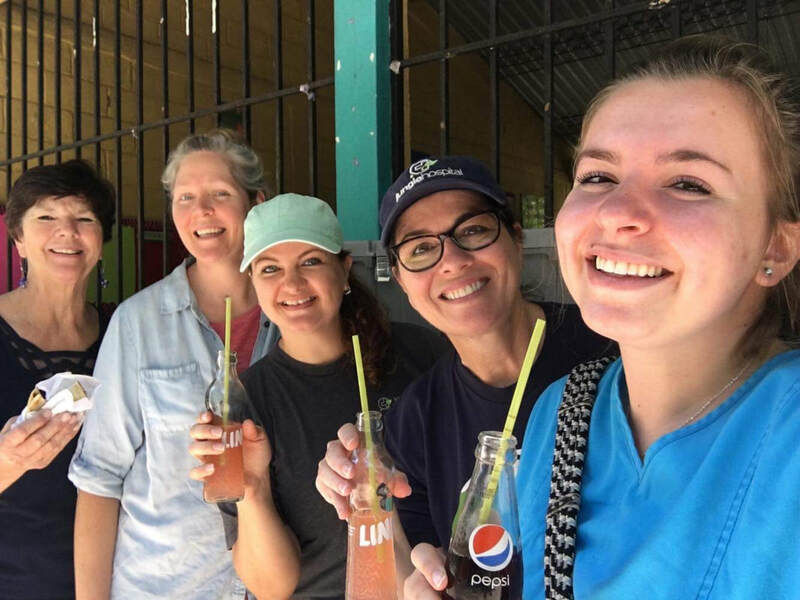 The ladies stayed behind and visited Instituto El Rey and had an amazing day teaching English, playing games, watching the senior boys play a soccer game against the college boys and of course sponsoring some students. 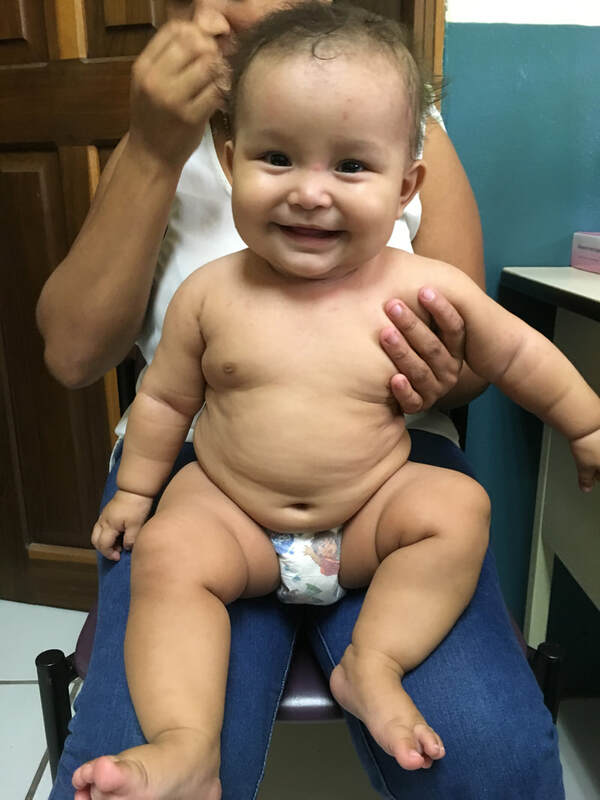 All of this happened while the men where in the city unloading and re-loading a 40 ft container into two box trucks and King George (our jungle bus). The day continued as we finally received the contents of the container around 4 p.m. We quickly unloaded and began installing the three new AC units into the back of the hospital. Not only were our AC guys installing these new units, these doctors, nurses and ministry people all chipped in to complete the job before the AC guys had to leave on Friday morning. Mr. Brian and his crew worked ALL night long and up until the left at 6 Friday morning. Due to everyone being up so late the night before, we cancelled our brigade that was scheduled and did some much needed work around the hospital. 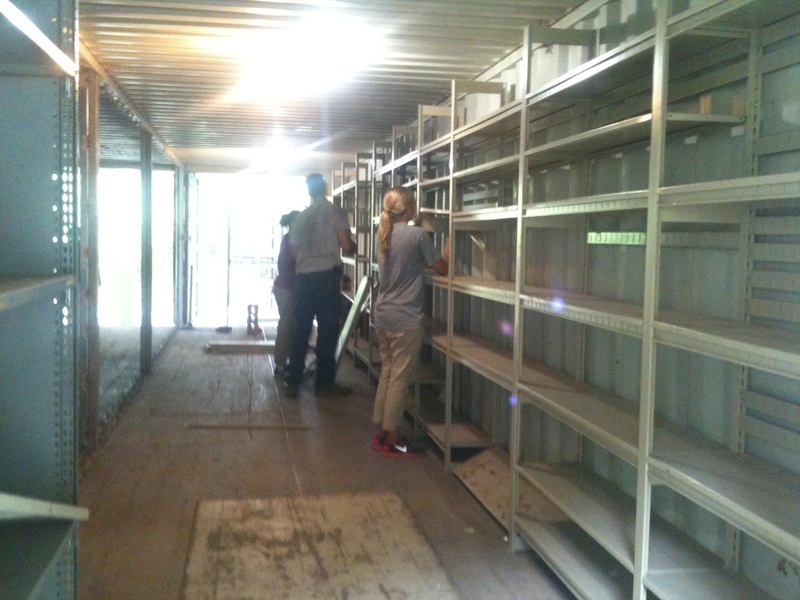 We were able to clean up from receiving the container and the installation of the AC. With the help of Bay CC, we were also able to stuff 600 backpacks with supplies that will be delivered this Thursday to students in Las Minas! It was an incredible work day. We were able to complete so much with their help. Because we had to cancel our hike/brigade to Los Limpios the day before, these guys decided that instead of having a fun day, they wanted to take that hour and a half hike out to a village that is in need of medical care. That right there shows you just how much these guys love people! Their hearts to serve God's people were indescribable. We saw close to 140 patients! Once we arrived back to the hospital, we quickly showered, packed and began our travels to San Pedro Sula for these guys to fly out Sunday. It was such an honor to serve with this amazing group of people. We were able to accomplish so much more than we could have ever imagined. They impacted the lives of so many, including me, and will continue to impact lives due to the seeds that were planted. Thank you Bay Community Church for an incredible week! ﻿﻿﻿Man, what a week it has been here in the jungle!! Our first medical team of the season arrived on February 14th with lots of energy and excitement to serve our people. These guys were a combination of two churches from Florida. 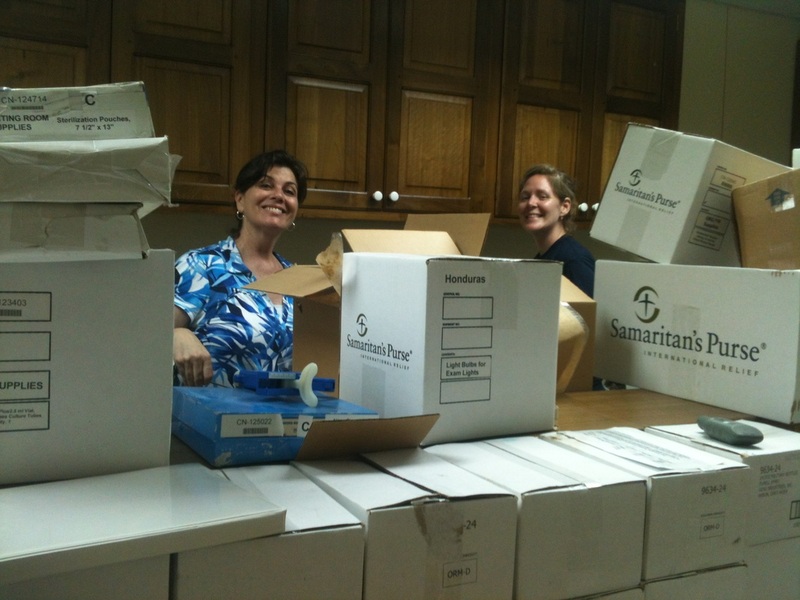 We began the week on Sunday with church, orientation, and began unpacking our medications to prepare for the medical brigades. 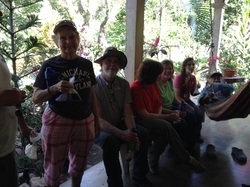 Once, we finished unpacking, we headed out to the villages of Rio Viejo and Toncontin to pass out flyers. Along the way, we stopped by a local pulperia to have some coke in a bag! We were able to hang out and talk with the family for a bit before heading back to the hospital. On Monday, we held our first brigade at our hospital. 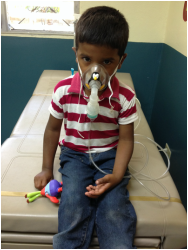 Our four practitioners saw patients along with our nurses while the others ran children's ministry outside. We saw around 70 patients! Once clinic was nearing an end, we took a small group of them to the local elementary school. We held a quick lesson on some healthy hygiene habits along with passing out vitamins and de-worming to begin their new school year. 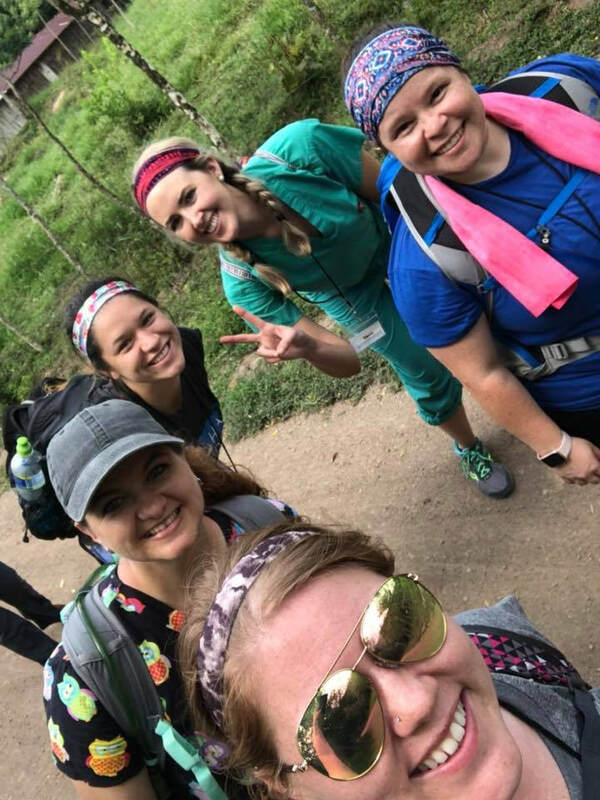 Tuesday brought about more jungle adventures as we traveled to Toncontin for the second medical brigade. We began by seeing all of the students first. Each student received their vitamins and albendazole and then were dispatched to play with the group members. As we were visiting with the students, the medical group was setting up their stations inside of the classrooms to begin seeing patients. We saw 187 patients and 130 students! It was a busy, yet incredible day. We continued our school blitz on Wednesday by visiting two kindergarten's, two elementary schools and a high school in the villages of El Pital and El Naranjo. These guys had a blast singing "Lavate Las Manos" and dancing with the kiddos. Unfortunately our original plans for Thursday were changed due to a rainstorm. However, those unfortunate circumstances ended with a complete transformation of our pharmacy and other projects being done around the hospital! We were able to consolidate all of our medications into ONE room, clean and organize two bodega's, move around some equipment from the OR to prepare from the AC to be installed, made five star baby bags and they stocked up our room with hygiene packs for our patients. The team worked so hard all week with great attitudes. I believe that seeds were planted and lives were changed! Have you ever taken a moment to just stop and take in everything that is going on around you? These past few weeks have been incredible for me. I've taken the time to look at my surroundings and see where God has brought me in just the two short years of being in Honduras. WOW! God is such a big God. 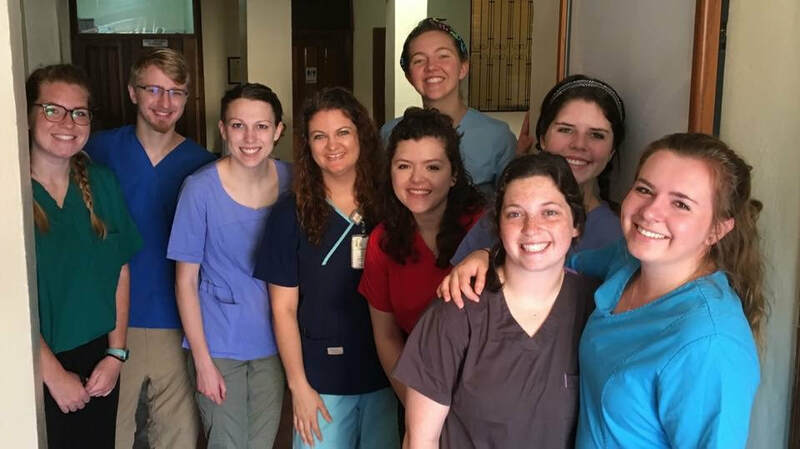 Mid-May, we had a team of Canadian nurses join us for a week of ministry. This was a week of firsts here at the jungle hospital. This was our first team of only nurses, so put on our thinking caps in order to come up with something new and creative for them to do. 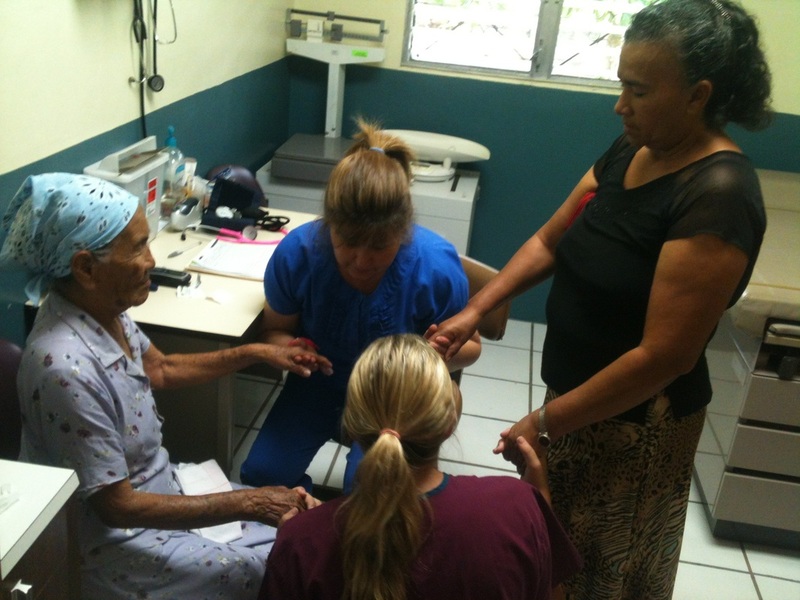 Our nurses helped us host our first ever women's health screening here in our village of Rio Viejo. During our screening, we checked Blood Pressure, Blood Sugar, Weight and BMI on nearly 100 women. WOW! Two new diabetics and two new hypertensives were discovered and are now being treated at our hospital. 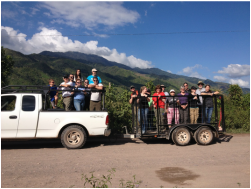 Later that week, we hiked up to the villages of Nueva Suyapa and La Lucha for some school visits and camping. 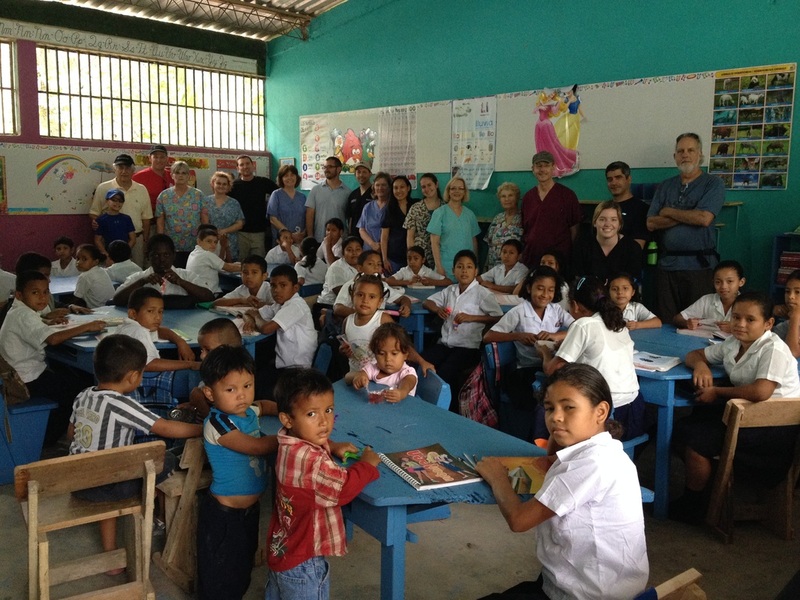 Finishing these two schools, helped us complete a 100% first visit to all of our schools here in the Cuenca. This is the first time that has ever been done. 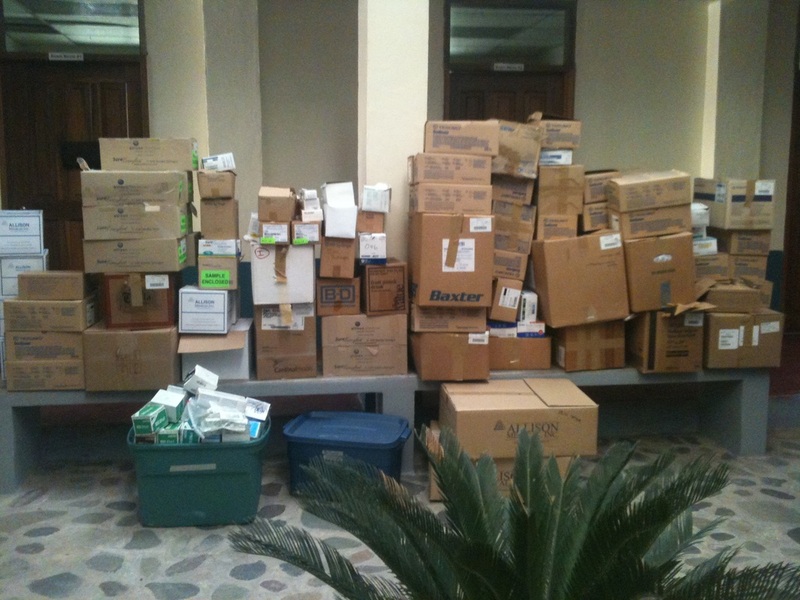 This past year we received two containers full of medical equipment and supplies. 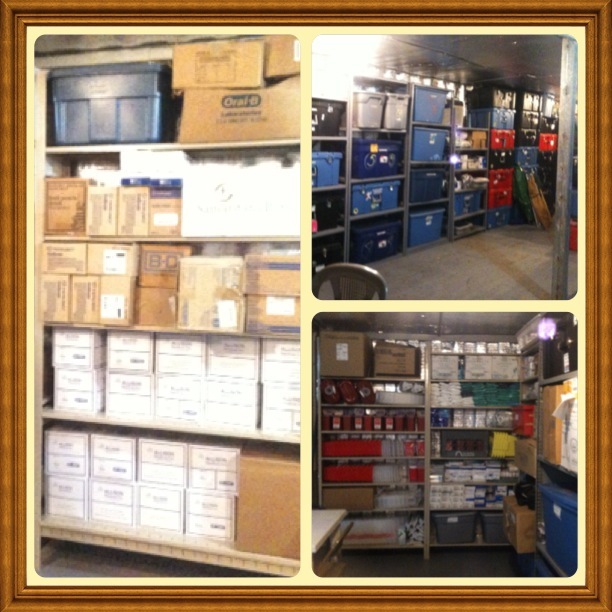 Our storage unit that we had would not fit all of the boxes, so we ended up storing them in the back of the hospital. 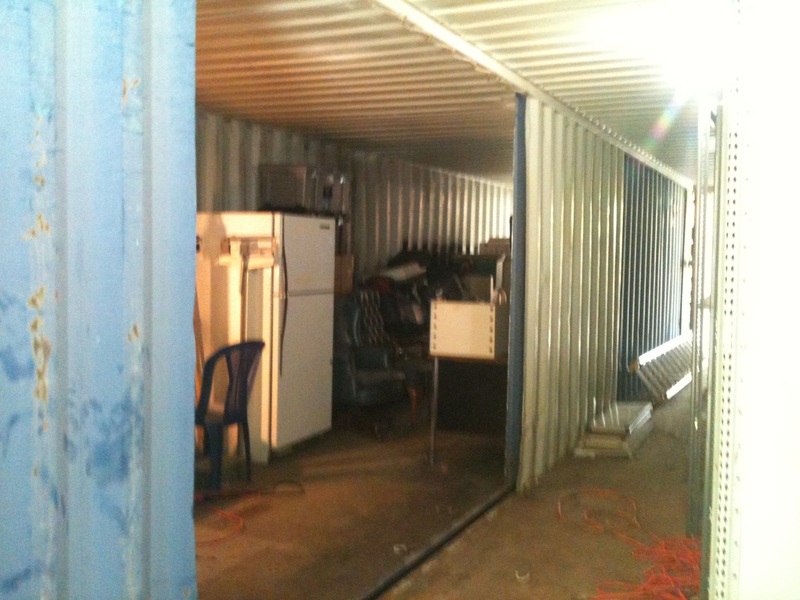 The second container, that was donated by Samaritans Purse, we were allowed to keep the actual container. 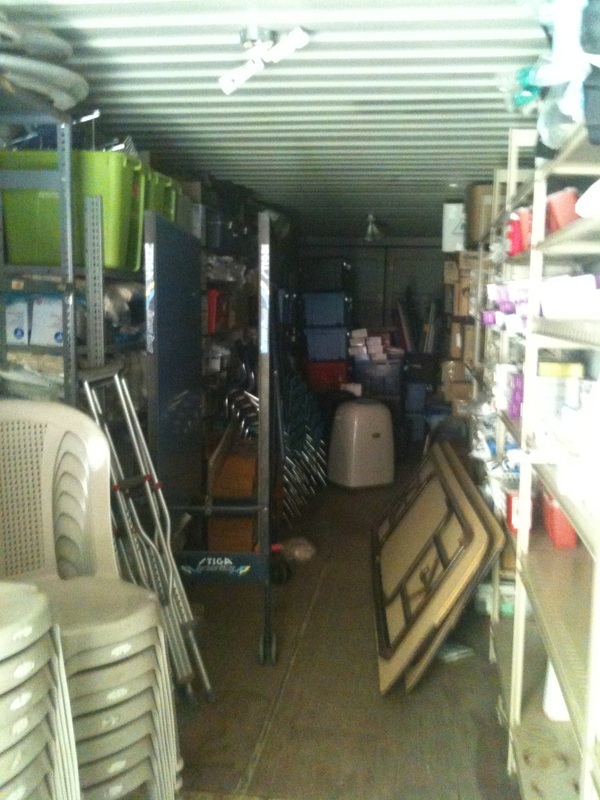 We connected this container to the old one, insulated them and installed an AC unit so that our medical supplies will have a longer life. 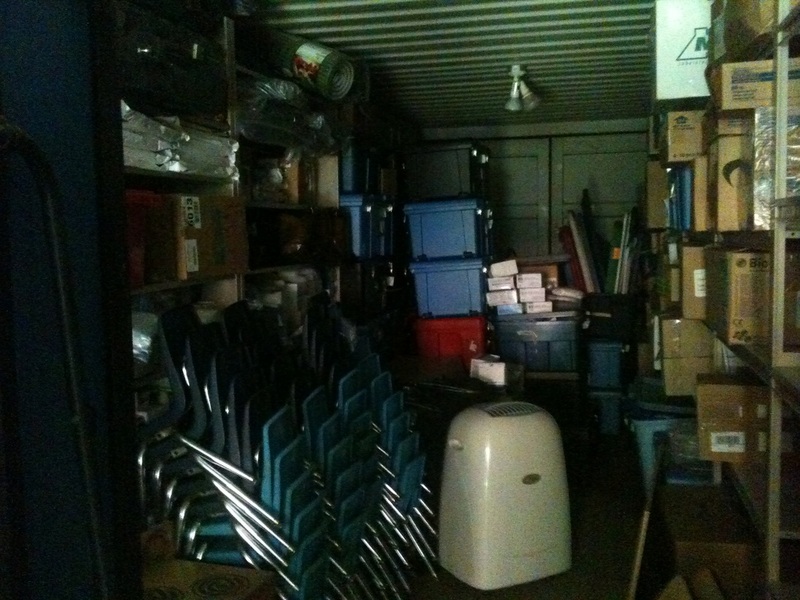 Once these were connected, we began the huge task of transferring boxes from the hospital, into the awesome, new storage containers. In two weeks we will receive a group of students from Lee University. We are excited to be hosting medical brigades and school visits with these guys. I'm believing that God is going to touch the lives of many people. Keep us in your prayers as we finish out the summer strong with many teams from the states. ﻿1 Corinthians 10:31: So whether you eat or drink or whatever you do, do it all for the glory of God. I realize that it has been a few months since I've posted updates on what's been going on around here, Well, I'm going to try and catch you guys up month by month. 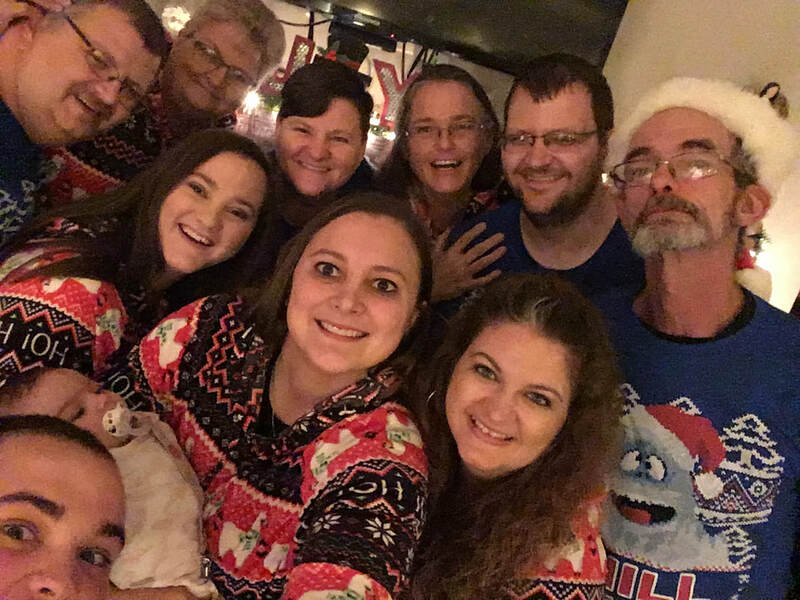 December was filled with lots of family, friends and fun. I returned to the states mid-December to visit family for the Holidays. Needless to say, it was a blast getting to hang out with my family. We had game nights, movie nights, and we ate A LOT! I'm pretty sure we had about five Christmas dinners before it was over haha :) What can I say, we are from the south! 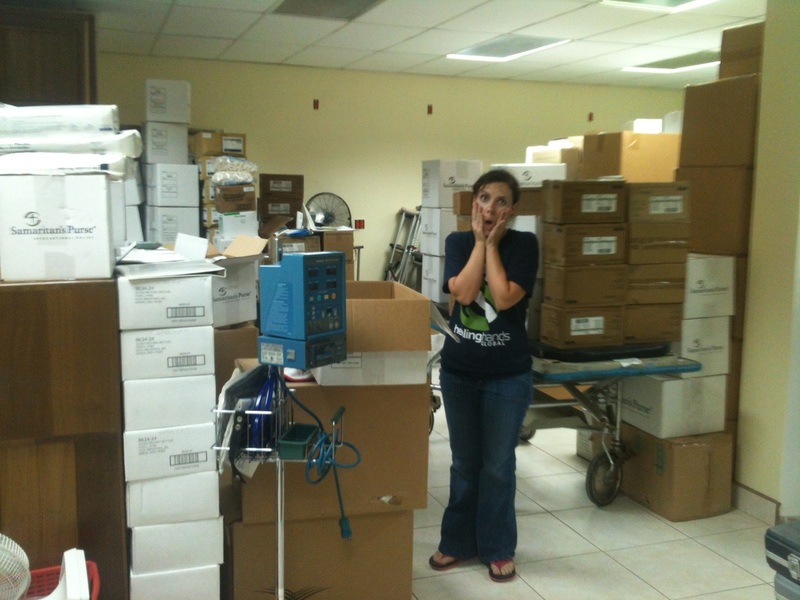 While I was away spending time with my family in the states, we had a container full of medical supplies/equipment that arrived in Honduras. Brandi, the Younger's, and myself were all in the states, which meant that Dr. Martin and his family were the only ones there to receive the container. They were able to recruit some guys from the village to come down and help unload that thing. 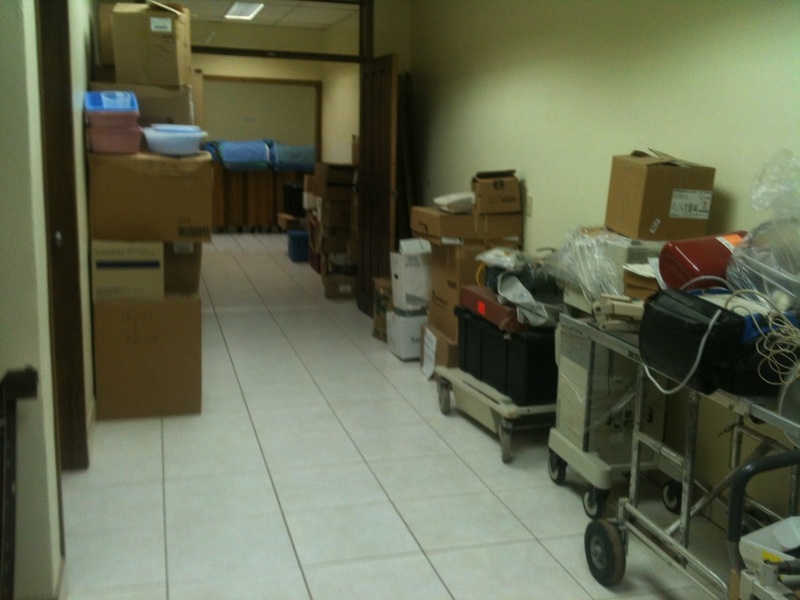 The container was dropped off right in front of the hospital and all of the boxes were unloaded into the courtyard. Brandi and I had a lot of work waiting for us back at the hospital! January came along and it was time for me to head back down to Honduras to begin the new year of teams and visitors. Once we arrived, our duties were to figure out what everything was in those boxes and try to put them away out of the courtyard. In the midst of our "war with boxes", we were also preparing for our Las Minas Christmas/Back to School Bash for about 600 kids in a village four hours away from us. 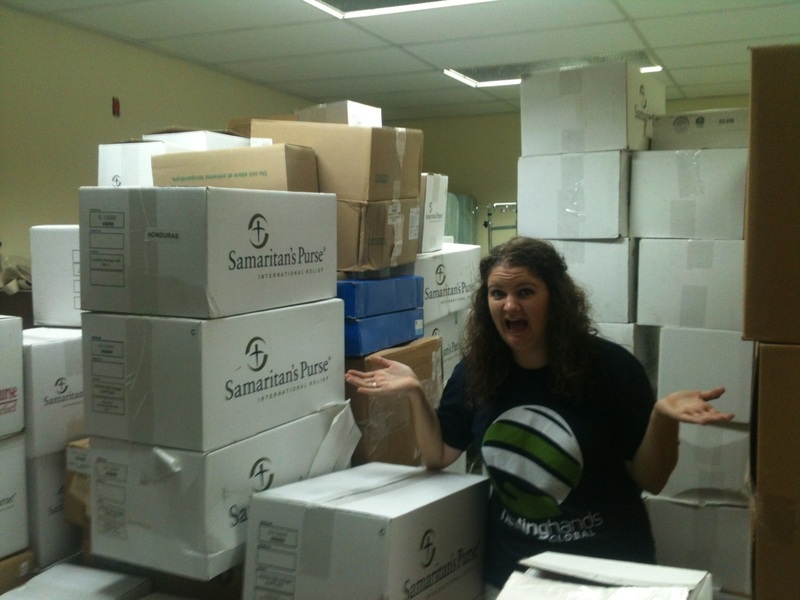 On our container, Samaritan's Purse sent us Care Packs. Inside those care packs, there was notebooks, pencils, rulers, erasers, stickers, etc. Things that a child would need to start school. We were able to put a care pack in each of the 600 gifts for those kids!!! 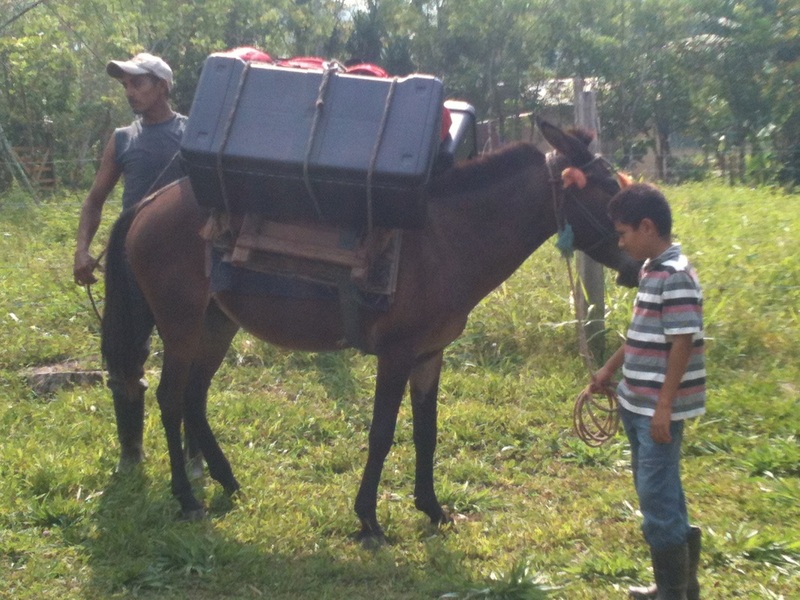 Toward the end of January, we were able to take those 600 gifts to the village of Las Minas and distribute them. As we were arriving, there we more than 600 people, including parents and children, waiting for us. It took a few minutes to get everyone organized by grades and gender. Once we were finished giving away gifts to those wonderful children, we stayed to give consult to our patients there. We stayed overnight in the clinic, sleeping in our hammocks and enjoying the peaceful night with no electricity. The next day, we gave consult again during the morning and were on our way home to Rio Viejo by lunch time. February rolled around we were getting ready to welcome our first team of the season from Florida, along with beginning our first ever school blitz. During a school blitz, we provide each student with vitamins, de-worm them and we do a quick reminder that they should remember to wash their hands and brush their teeth. We also used this time to cover each school and community in prayer for the beginning or their school year. We began our school Blitz here in Rio Viejo and the village of Paraiso. 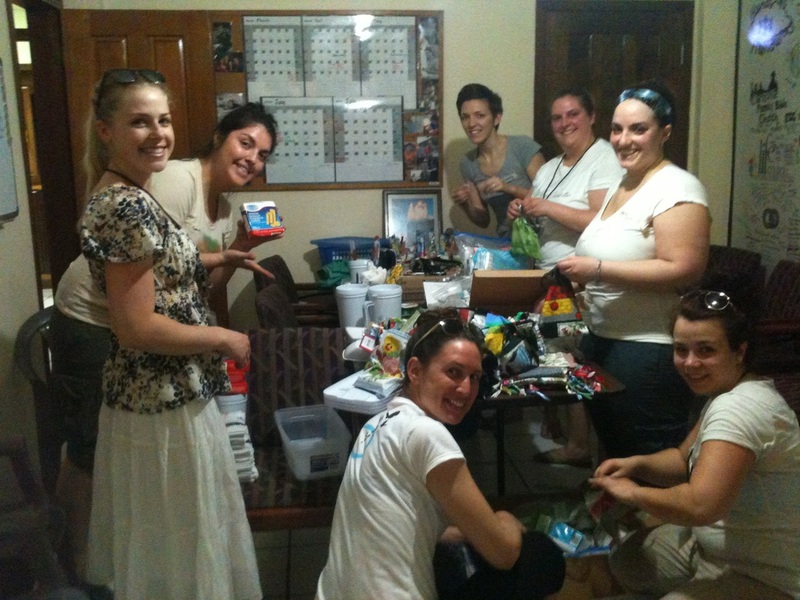 For the students in Rio Viejo, we had extra Christmas bags and school care packs left from our outreach in Las Minas. So, each student in Rio Viejo received a Christmas gift and a care pack to start out the year. 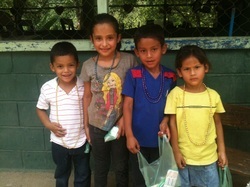 In the village of El Paraiso, every student also received a care pack along with vitamins and de-worming. It's was so amazing to see how excited these kids were to receive these packs and vitamins! The team arrived February 15th. We spent the week with Across the Globe, hosting medical brigades and participating in the school blitz. That week, we reached more than 500 patients and more than 300 students!!! Come on Jesus!!! We finished out the month of February with the Senecal Family, who stayed a week longer than their team. Mr. Doug, a Physician's Assistant, worked in the clinic Monday-Wednesday and his awesome wife, Lauren, helped us in organizing the mountain of scrubs that we had just gotten from the container. 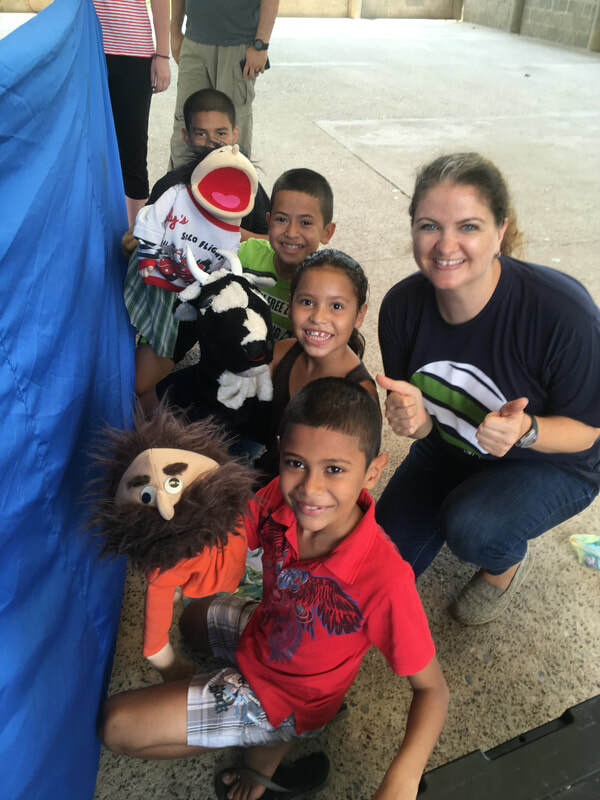 They also helped us reach more children on Thursday and Friday by doing more school visits in Yaruca, El Pital, El Naranjo and Las Mangas. March was also filled with lots of work and FUN! 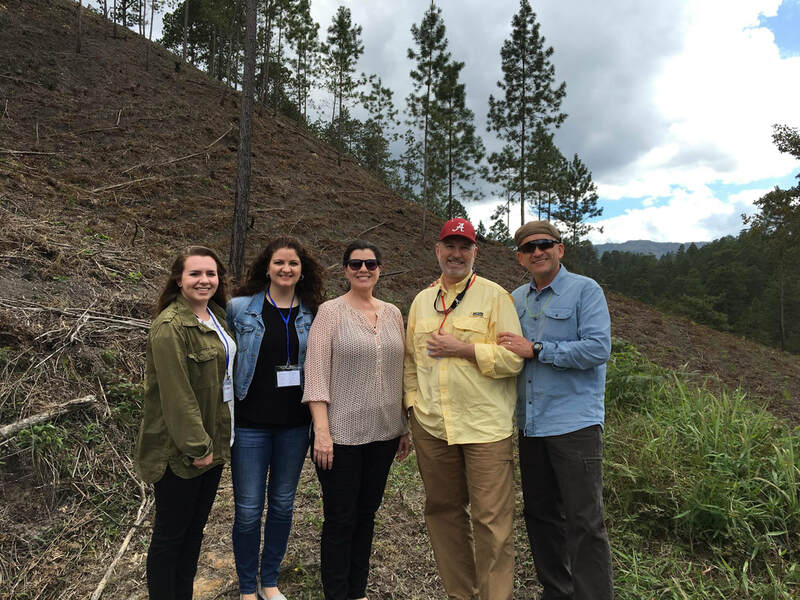 The first weekend in March, Dr. Martin, Mrs. Wendy, Rachel, Brandi and I, traveled to Siguatepeke for a 3 day missionary retreat. We were able to participate in bible sessions, worship and fellowship with more that 240 missionaries from all over Honduras. It was a great weekend getaway. 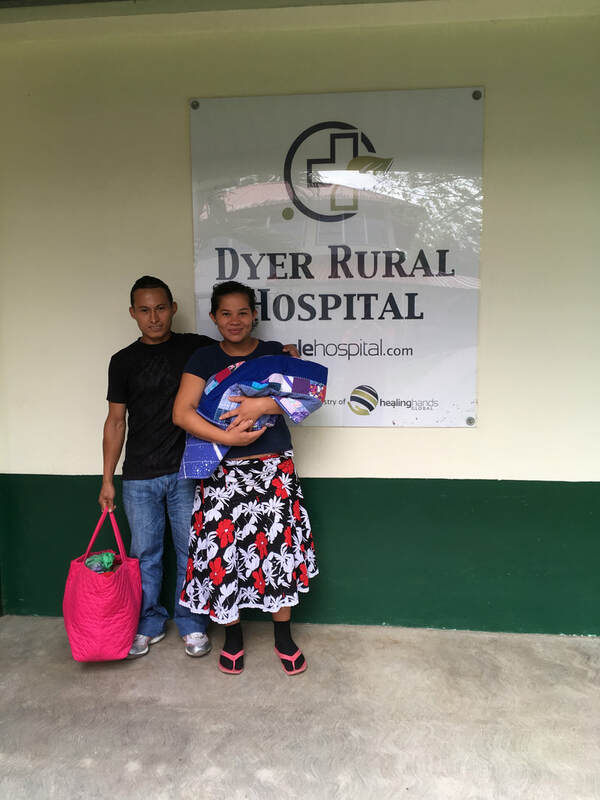 On our way back from Siguatepeke, we stopped in San Pedro Sula to pick up Dr. Bunch, a Cardiologist, and his daughter to spend the week with us in Rio Viejo. These guys were from Fairhope, Alabama. During this week, we were able to pull our our new EKG machine and run some tests on our hypertensive patients. We also broke out one of our cardiac monitors from the back so that Dr. Bunch could show us how to use it. Now, we are set up to run EKG's! We have been using our machine weekly performing tests. We hope to continue to do this and get a baseline EKG for all of our patients with high blood pressure. Dr. Bunch and his daughter left on Friday and our next team from Bay Community Church arrived on Saturday afternoon. These guys were awesome. They were a group of thirteen people, some medical and some non-medical, who came to serve with complete enthusiasm. This week, we held medical brigades and continued working on our school blitz. These guys helped us see more than 300 patients and 281 students!!! BCC left the following Saturday. The next week, we had no group, but our patient days were FILLED with people. Each day we had more than 30 people at consult. The next week, our roofing crew came from Alabama. They consisted of Mr. Tim, Mr. Bryan and Pastor Steven Metcalf! These guys came to assist Mark in putting a roof on two buildings. They were the most hard working guys! They pulled 12 hour days out in the hot sun. Now, King George, our new bus, has a place to be parked. I have to say, it was pretty cool having Pastor Steven here in Honduras. He is the first person to come down that is connected to me. He had a blast and is hoping to come back soon and bring a team down! I can't wait to have him back!! As of right now, we don't have any visitors/teams here. However, this weekend, we are hosting an important guy from Texas. He will be here a few days to scout out our Operating Room in hopes of helping us with obtaining the rest of the equipment that is needed to make the OR functional. We are also hoping to get the OR and Labor and Delivery Ward certified and operational soon. Please be with us in prayer as he is here. Pray that God's will be done and that divine appointments are set up in order to get this OR and L & D ward up and running. The next few weeks are filled with projects and working on finishing up our school blitz. We are hoping to have a 100% first visit rating this year. We are only two schools away from our goal! We love our schools, which consists of nearly 1,500 students and 87 teachers. 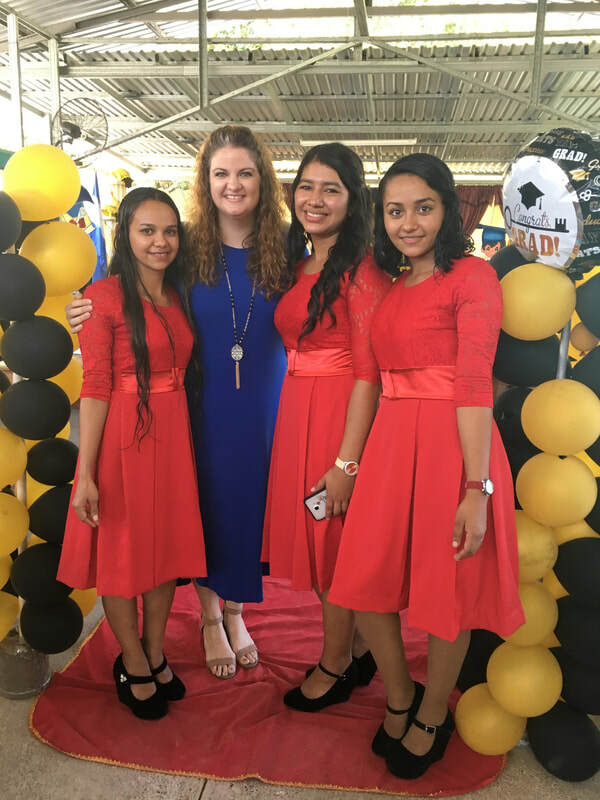 We are praying that God work through them to reach their communities and that they will continue being educated into their high school years. I'm believing that these students can become spiritual leaders! Now that we are all caught up on what has happened these past few months, here is a slideshow to show you guys in pictures what has been going on around here. Thank you for continuously supporting and praying for me. I pray that God bless you a hundred fold!! Howdy folks! I hope that you all had a wonderful Thanksgiving with your families and friends. 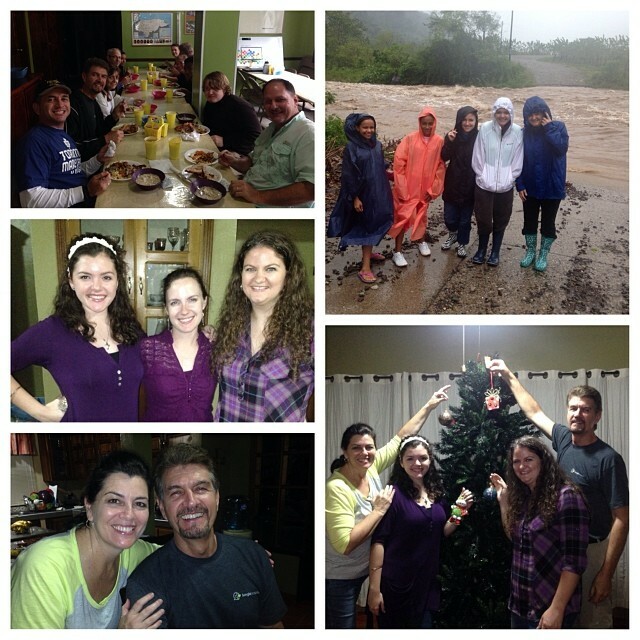 This year, I had the pleasure of spending my first Thanksgiving here in Honduras. Although I missed my family, I ended up having a wonderful time! Before I begin telling you all about Thanksgiving, let me take you to a few days before. We are currently in our rainy season, however, it has been a fairly dry season until last week. 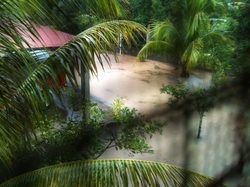 The rains began and didn't seem to stop for DAYS!! We had originally planned to travel up the mountain to Urraco and have a big feast with all of the missionaries from up and down the mountain. Due to the rain that never ended, our once small creek turned into a raging river that prevented anyone from crossing to go up the mountain. This usually happens when it rains non-stop for days. 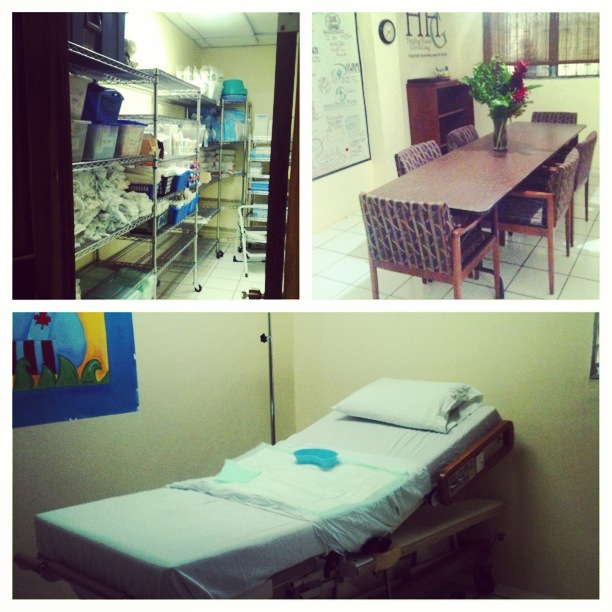 We currently have two students from IER spending their vacation serving at the hospital. Brandi and I are teaching them how to check blood pressure, pulse and weight, along with other things that take place around the hospital. 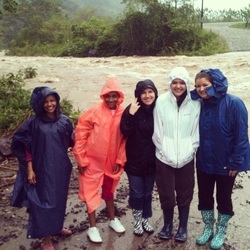 Because of the rain last Wednesday, the girls were stuck, unable to get home. They ended up staying in the apartment beside ours for the night. I have to say, they were the cutest things. They live minimally in a village way up in the mountains where there is no electricity. To them, it was like they were staying in a five star hotel. They LOVED our rug! I guess you could say that Brandi and I were their moms for the night. We talked about life and cultural differences, fed them dinner and then we watched The Little Mermaid. This was only the third movie that they've seen in their entire lives! They loved it and were still talking about the movie the next morning! Once the movie ended, they went into their rooms for a nights rest, but were right back over with us as soon as they woke up. On Thursday morning, Thanksgiving day, the creek was still to high to pass. They stayed with us and helped us cook for our Thanksgiving lunch. They were able to see a piece of our Thanksgiving tradition. A little after lunch, the creek had gone down enough for them to cross in the bus and go home. Even though the river had gone down enough to cross, it was still raining. We didn't get to go up to Urraco, because the river could go back up at any time and we didn't want to get stuck away from home. We ended up staying in Rio Viejo and having a nice lunch with all of the ones that were stuck on this side of the river. 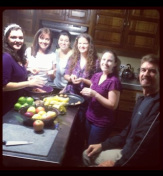 To end a wonderful Thanksgiving day, the Williams invited us over for a Christmas tree decorating party! 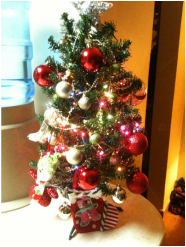 We ate MORE food, decorated the tree and ended the night with a movie. It truly was a wonderful day. The festivities continued on Sunday with another, more traditional, Thanksgiving lunch/dinner with our staff and family members that were here. All in all, it was a wonderful week, despite the rain and power outages. I'm thankful for wonderful friends and family that I've made here in the jungle. This past Wednesday, two of our patients came to us for consult and they both needed to be taken in to the city for further exams. One was having contractions, but she wasn't quite ready to have the baby, and the other patient Dr. Martin had suspected that she might have had an incomplete miscarriage. At the moment, we don't have an ultrasound machine nor the resources to deliver babies at our hospital, but that will soon change! We are currently working towards opening a Labor and Delivery Ward along with an OR. Therefore, we took our patients into the city hospital. Brandi and I had the privilege of accompanying Dr. Martin and our patients for a few hours. We first took them into the ER to receive ultrasounds. Once we had them registered, they took them back right away. Let me begin with our first patient, the one who we thought had a miscarriage. We got her all dressed in her gown and Dr. Velasquez, one of Dr. Martin's old instructors, performed the ultrasound. He was very thorough. With the ultrasound, we discovered that the lady was indeed 12 weeks pregnant, and the baby was just fine! Praise the Lord!! Once we finished with the first lady, we moved on to the next room with our patient who was having contractions. She had been having these contractions since Monday, but she wasn't progressing. It's now Wednesday, and she was still having contractions and had not dilated more than she was on Monday. Basically, Dr. Martin wanted to make sure that the baby was fine and that the cord wasn't wrapped around it's neck. They admitted her for observation. After we finished in the ER, we were taken to the Labor and Delivery unit. 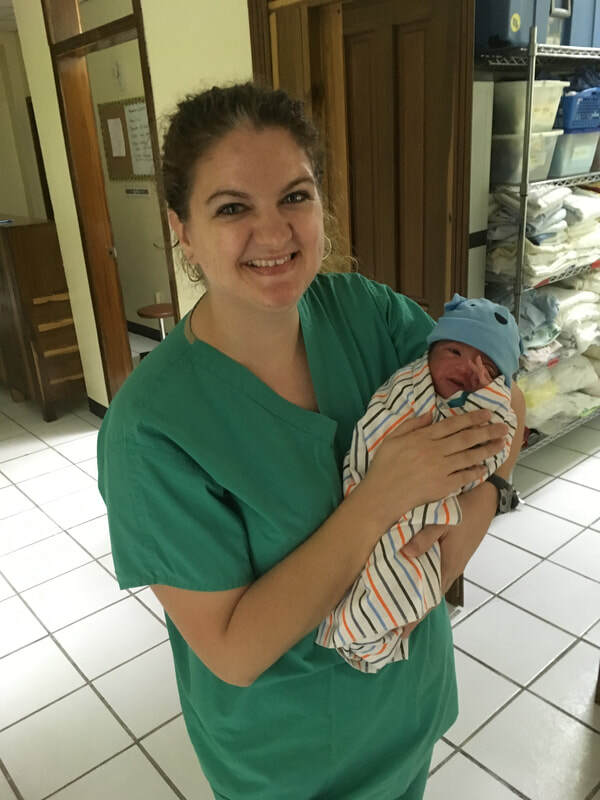 Dr. Martin wanted us to be able to experience a birth in the Honduran hospital. Luckily, Brandi and I were able to observe two natural births. This was such a great experience for us both! 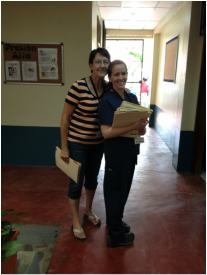 We were able to hold conversations with some of the nurses, which helped us practice our Spanish. One of the nurses also practiced her English with us. After the deliveries, we were able to be with our patient, who they had moved to the L&D ward. 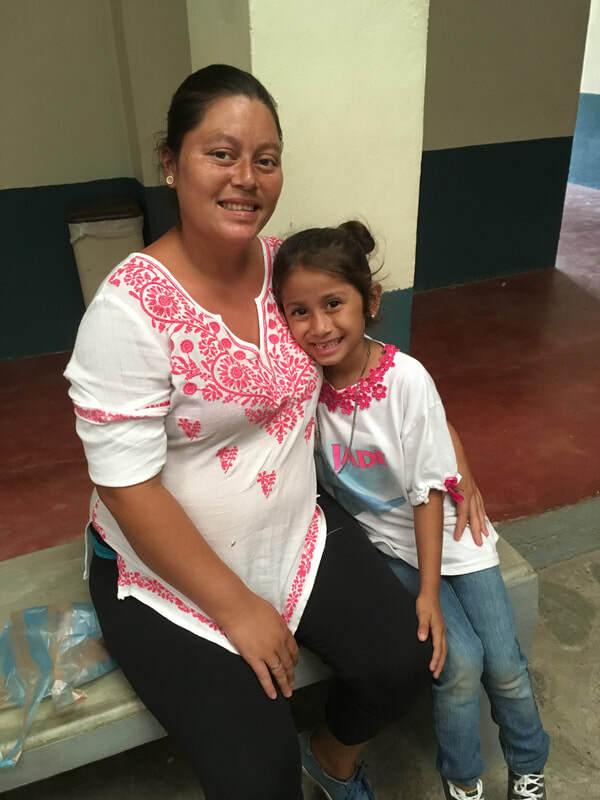 We were able to help her through her contractions and talk with her about what was going on with her, since this was her first pregnancy. It was all in all a great experience! She ended up having her sweet baby girl around 2am. However, we were not there to experience this with her. We ended this great day with a "celebration lunch" at Applebee's. It was a wonderful, fun-filled day, with lots of learning and great company. We thank the Lord that both of our patients were fine!! The opinions expressed on this page are soley those of the author and in no way a reflection of the opinions or beliefs of the Jungle Hospital or Healing Hands Global.